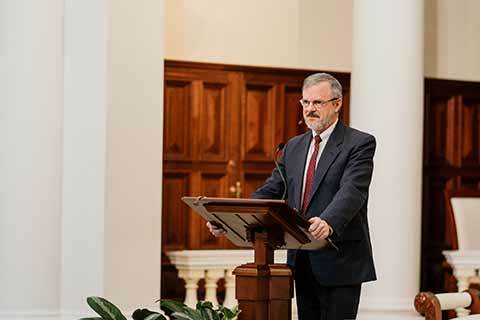 Beeson Divinity School hosts three annual lectures to enrich the spiritual life of our community and enhance the educational experience of our students. 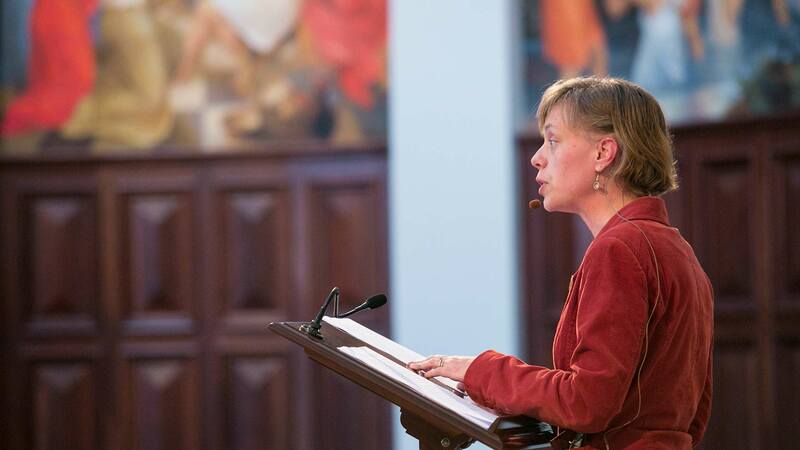 Each Spring, Beeson Divinity School hosts the Biblical Studies Lectures, one of three annual lectureships, to enrich the spiritual life of our community and enhance the educational experience of our students. Guest speakers committed to the proclamation of the Holy Scripture are chosen because they pursue their study of the Bible with the utmost academic rigor and integrity. Each year, Beeson Divinity School of Samford University sponsors The Reformation Heritage Lectures during Reformation Week. The Protestant Reformation of the sixteenth century was a tremendous movement of spiritual and ecclesial renewal, which called the church back to its biblical and evangelical roots. Preaching is the central task of Christian ministry and mission. In the William E. Conger, Jr. lectures, we affirm our commitment to this biblical reformation mandate. These lectures are presented in the fervent prayer and hope that they shall enlighten the preacher's skill, but above all, stir the preacher's soul, so God Himself may shine "in our hearts to give the light of the knowledge of the glory of God in the face of Christ" (1 Corinthians 4:6).